With the launch of 1 GBPS wired broadband internet connection here on Thursday, Hyderabad has become the first ‘Giga-enabled’ city in India. HYDERABAD: With the launch of 1 GBPS wired broadband internet connection here on Thursday, Hyderabad has become the first ‘Giga-enabled’ city in India. “Hyderabad is the city with highest internet penetration in India. With launch of the net connection, it has now become the first Giga City in the country and is on par with cities like Hong Kong and Singapore. 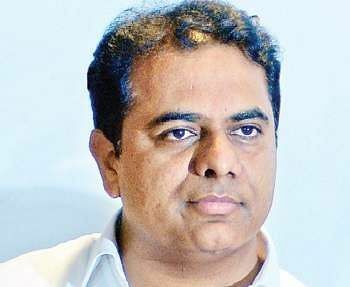 Hyderabad is home to a buzzing IT industry, start-up culture, industries, students and 1 GBPS net connection will be of great use for the people,” said IT and Municipal Administration minister KT Rama Rao, after launching the connection. ACT (Atria Convergence Technologies) Fibrenet, a Hyderabad-based company, which is a leading internet service provider in the country, has launched the connection. “We are laying 47,000-km-long fibrenet in Telangana to provide internet to all households. We feel this will open up several new opportunities for people and give a boost to economy. As many as 3,000 internet hotspots will be set up in the city by mid-2018 to provide high speed internet access to people in public spaces. We are also planning to turn city libraries into digital libraries by making them WiFi enabled. Even new libraries, which will have both digital access and hard copies, will be set up at heritage sites in cities for children,” said KT Rama Rao, explaining about the steps taken by government to make internet accessible to all in Hyderabad. KTR urged ACT to provide 1 GBPS internet connection to Legislative Assembly, Secretariat, Raj Bhavan, CM Camp Office and City Central Library as well. Jayesh Ranjan, principal secretary of IT, Electronics Communication pointed out on the occasion that, while high speed internet services have been implemented on a pilot basis in many places, only in Hyderabad has this been introduced on a full scale all over the city, as the city already has good digital infrastructure.